Adult-Only, All-Inclusive Vacation along the Papagayo Bay! Couples or groups who want a beachfront vacation with all meals included. One week of full-service, this Costa Rican all-inclusive beachfront getaway is the ideal way to vacation! Just 20 minutes from the Liberia International Airport, arrive at Secrets Papagayo and start enjoying your vacation without delay. One of the few resorts situated right along the beautiful Papagayo Bay in sunny Guanacaste, the Secrets features modern amenities in a laid-back, adult-only atmosphere. This vacation package is all about decompressing and recharging batteries. 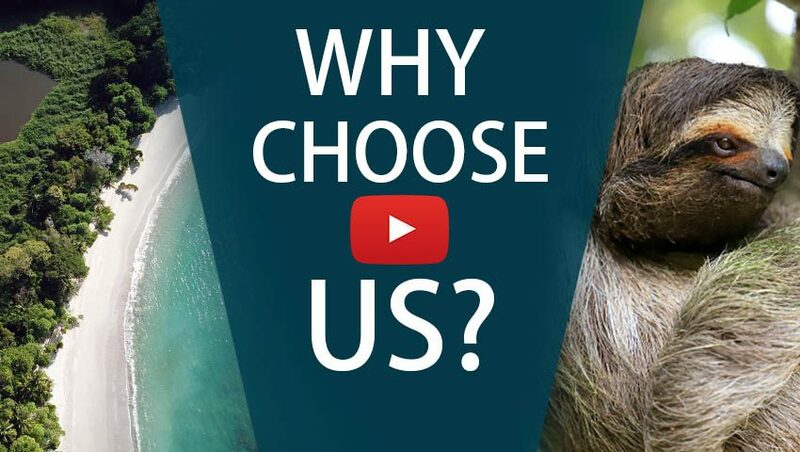 Whether that means adrenaline highs or spa treatments, Secrets has an option for everyone. There are also seven different restaurants and cafés on-site, and it’s all included so you don’t have to worry about reaching for your wallet every time you crave something. Being located beachfront along Arenillas Beach, in Papagayo, means that there are plenty of water activities to take part in. The calm, waveless gulf is ideal for activities like SUP (stand-up paddle) boarding, kayaking, and snorkeling. Try to spot as many seahorses, fish, and turtles as you can. Head into the refreshing blue water for some fishing, surfing, or diving. Go on two tours to explore the area: visit the unique Palo Verde National Park, and watch the sunset from a Catamaran boat in the Pacific Ocean. Discover the natural wonders of Costa Rica’s most famous coast. This vacation offers the perfect balance of activities and relaxation so you can really get in your groove! What’s included in ‘All-Inclusive Beachfront Getaway’? 7 nights lodging at Secrets Papagayo—All meals included. Tours include transportation and a guide. 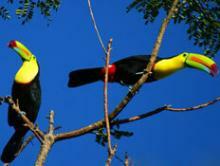 Guided Palo Verde National Park tour. You’ll be staying at Secrets Papagayo in this Costa Rican all-inclusive beachfront getaway. Land in Liberia, where one of our representatives shows you to a private transfer. After a short 20-minute drive, arrive at Secrets Papagayo and start your all-inclusive beachfront Costa Rica getaway! Enjoy the hotel and make yourself at home in your simple yet elegant suite. The blend of natural furnishings and modern amenities is perfect for maintaining a laid-back, beachy atmosphere while providing you with every comfort. Try out the various restaurants, including the beachfront Matiss, or relax poolside with a cocktail without having to reach for your wallet—that’s a vacation! Visit one of the most important national parks in the country—Palo Verde National Park. Float along the Tempisque River with your knowledgeable guide who points out and explain about the wildlife, exotic vegetation, and dazzling natural views. This is a favorite for nature lovers and birdwatchers! Enjoy your free days to relax and enjoy the hotel facilities. Spend a day lounging alongside the swim-up bar, or try out the different activities at the bigger pool where there is always something to do, going from water polo to bingo. Down at the beach, the calm waters of Arenillas Beach are perfect for swimming, kayaking, and activities like stand-up paddleboarding (SUP). The morning is yours for some free time, but save some excitement for the afternoon where you’ll be going on a Sunset Ocean Catamaran tour. Watch the sun sink into the Pacific as you swim, snorkel, and relax with a cocktail. Get out and explore! Discover other beaches and towns along the Gold Coast. Do some souvenir shopping for yourself or loved ones back home. Sign up for a boat tour and see the stunning coastline from a different perspective. The possibilities are endless! A private transfer will take you back to the Liberia International Airport where you will catch your flight back home. Great views of the bay await you in this adult-only, all-inclusive resort by the beach. Sit back, relax, and enjoy a stay that showcases the best of modern comforts and Costa Rica's natural beauty.